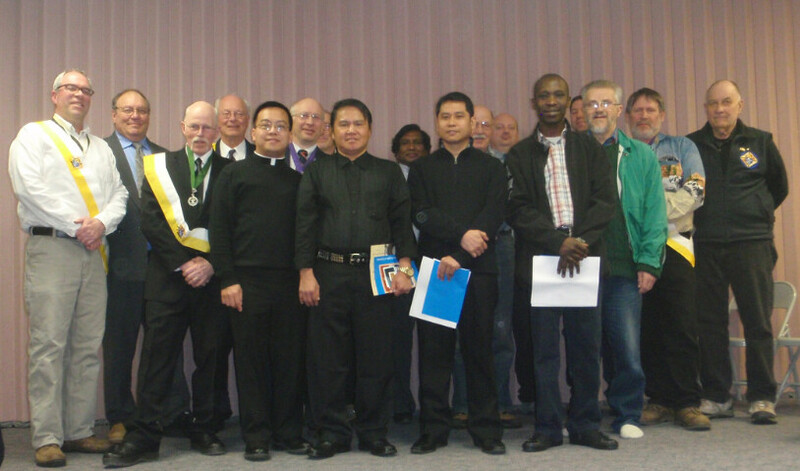 A First Degree exemplification was held in Smithers on 9 March 2014. Fr. Callaly Council #7973 hosted the exemplification and welcomed Anthony A Salabe, Mac Mac, and Dennis C Gonia to the brotherhood of the Knights of Columbus. Council #7973 is going through a period of revival and has signed up about 23 new members since February 2013. Some members have since become 3rd Degree Knights, and it’s hoped that those who are still 1st Degree will be exemplified in the 2nd and 3rd Degrees this coming June (2014). Indeed, some of those Knights who have already made their 3rd Degree are now eagerly awaiting the 4th Degree exemplification, also in June!